How much danger can you attract when you propagate a religion in a foreign country that so violently rejects it? Is it worth dying for your belief when you hear silence as a reply to your constant pray? The ‘silence’ turns into a new definition of an unspoken answer that you can interpret in any way you want. 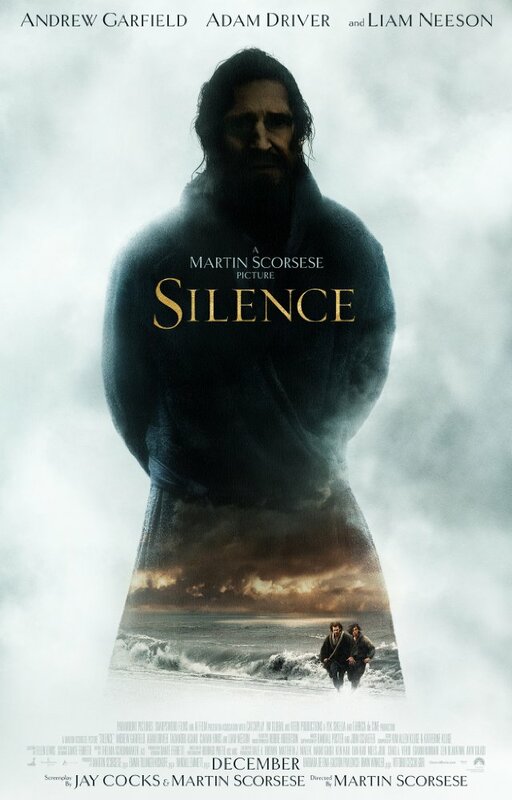 The silence has never been so loud as it was in Martin Scorsese’s new masterpiece that will, no doubt, capture your attention, challenge your faith and belief to make you even more faithful after you leave the theater. Get ready for the ride of your life that will shake you to the core. Father Garrpe and Father Rodrigues are unstoppable in their plea with Father Valignano (Ciaran Hinds) seeking for his permission to depart immediately for Japan to find missing Father Ferreira. After the permission was granted, they find help in Kichijiro (Yôsuke Kubozuka) who gladly takes them to a rural place in Japan. On their way to Nagasaki, they see many people being executed for being Christian. As the genocide continues in the name of cleaning Japan from foreign religion, the two young priests continue their dangerous quest through the blood and burnt corpses of people who reject to deny the God and his Faith. Each scene in SILENCE is a metaphor. Each dialogue has deep meaning. Every angle taken has something to say. Even the silence you hear in background is talkative enough for you to understand its point. Martin Scorsese with this film finds his new self. He masterly crafts the dangerous subject in a way that you won’t feel offended, even though, you might be an extremely religious person. The scene when Garrpe was in the cell, he says quietly, “God, thank you, you heard my prayer”. But as soon as he ends his line, another innocent man got beheaded in front of him. The movie itself questions religion in a way that you will be amazed how it even got that far to be approved by the Vatican. SILENCE can easily be considered as controversial. Many people after watching it may dislike it due to their beliefs. But at the end of the day, there are deep and profound message in this prolific piece of art that cannot be misunderstood or mislead under any circumstances. In most cases, the characters you find dying in the movies died for what they were standing for. Each time before their execution, they would look at the priest as a last chance for their prayers to be responded. But even for the priest Garrpe it takes a significant amount of time to understand the silence he thought he was praying in was the actual answer he simply could not comprehend before. Andrew Garfield and Adam Driver were mesmerizing. Liam Neeson never fails us in any movie he ever appears in. But it was Issey Ogata as Inquisitor Inoue and Yôsuke Kubozuka as an unfaithful who was always ready to betray Kichijiro the true star of Scorsese’s SILENCE. Two Japanese actors have nailed their characters by their delivery and stole away every scene they were in. In the end, this movie in many ways is a winner. It is capturing, intelligent and a heavy movie to watch that delivers the most intimate look into religion that you will once again fall in love with… no matter what religion or culture you belong to.